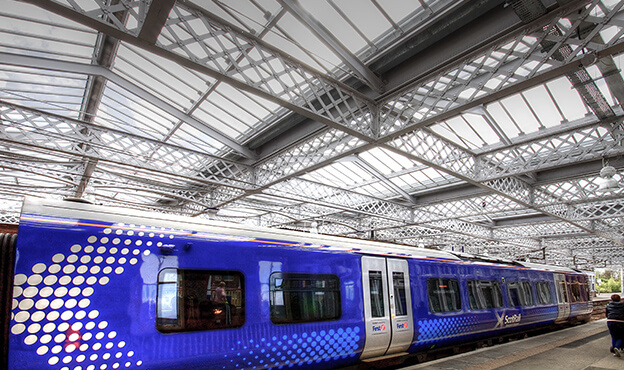 Spencer Group was awarded the contract to renew the entire roof of Paisley Gilmour Street station, and provide crucial strengthening below the platforms. 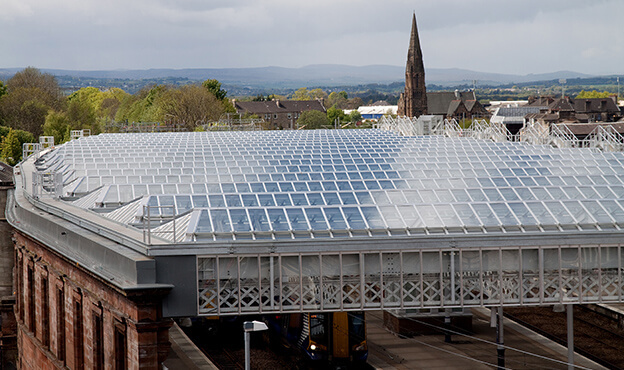 The Spencer team created one single roof to cover all four of the Category B listed platforms. The challenging task was to upgrade the primary roof structure and install a modern roofing system which incorporated the heritage appearance. Almost 5,000 square metres of glass were ‘rolled’ onto the roof after laying out 400 tonnes of new steel girders and support beams. This launch and roll out method was devised to put roof sections into place along beams, in close proximity to overhead lines. When it was discovered that the foundations of the Victorian station were much weaker than expected, Spencer drew upon its vast multi-disciplinary experience to overcome this unexpected problem, installing steel structural supports under the columns of the building. This extra element of the project was incorporated within the original budget. 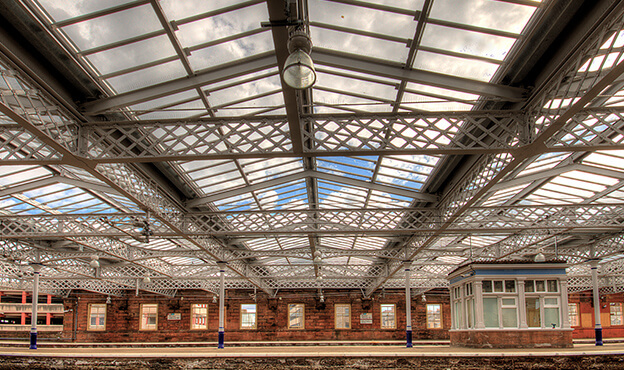 The Category B building which has been standing since 1840 was fitted with a new roof using pioneering techniques, and the station was able to operate as normal during the project. This is despite the building being found to have weaker than expected foundations upon inspection. The resulting structure was 40% larger than previously, and was installed in a way which was believed to be an industry first. Upon completion of the Paisley Gilmour Street Station project, Spencer was highly commended at the prestigious National Rail Awards.